Invitation: Concert "RybaNaRuby & Brikcius: Bach & Cello II." 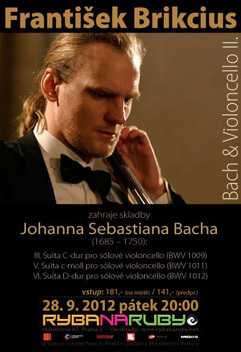 You are invited to the "RybaNaRuby & Brikcius: Bach & Cello II." concert featuring Czech cellist František Brikcius, held on 28th September 2012, 8pm, at the RybaNaRuby (Mánesova 1645/87, Praha 2 - Vinohrady, 120 00, Czech Republic). Cellist František Brikcius will play Suite No. 3 in C major for solo cello (BWV 1009), Suite No. 5 in C minor for solo cello (BWV 1011) and Suite No. 6 in D major for solo cello (BWV 1012) by baroque composer Johann Sebastian Bach (1685 - 1750). Next concert "Festival Brikcius" is be held on Thursday 18th October 2012. Tickets (entry fee: 181 CZK / advance booking: 141 CZK) and reservations available at the door. In cooperation with the RybaNaRuby. Further details on websites http://www.Brikcius.com , http://www.RybaNaRuby.net , http://www.FaceBook.com/RybaNaRuby (FaceBook event here), http://www.FaceBook.com/Brikcius and http://www.Twitter.com/Brikcius . "RYBANARUBY & BRIKCIUS: BACH & CELLO II." Competition: Win 1 x 2 free tickets for the October Cello concert "Festival Brikcius"
Who will play at the October concert "Festival Brikcius"? Contest is over, lucky winner is M. D. from Prague. BulvarART- Producer includes a group of people of different artistic directions (Audiovisual - TV - Film - Editing - Camera - Audio - Graphics - Production). BulvarART founded producer Tomáš Měšťan. It is a loose grouping of people who are involved in different artistic directions. The basic axis is the audiovisual followed by directing, editing, cinematography, sound, music, graphics, production, etc. For five years of the company creates dozens of reports, commercials, concerts, recordings, educational films, animated documents and short fiction films. Another aim is to create a feature film. The company is already working on preparations. The theme deals with two poets in exile and their view of the Central European area. The film bears the working title Kryl versus Diviš and is planned for spring 2014. BulvarART awards include 48 Hour Film Project Taos USA 2012 - Prix Jury ("No Country for Young Men" / Robin Kvapil), 48 Hour Film Project Praha 2011 ("No Country for Young Men" / Robin Kvapil), Ostrava Picture 2011 - Main prize, categories "Experiment" ("Míťa sám na světě" / Pavel Lukáš), Arts & Film Festival Telč 2011 - Prix Jury, 2nd category ("Vinohrady v průběhu věků" / Pavel Lukáš), Ostrava Picture 2011 - Čestné uznání ("Vše za 35,-" / Pavel Lukáš), Aerokraťas 2008 - 1. prize ("Totální design" / Pavel Lukáš), Aerokraťas 2008 - 2. prize ("Es gibt Reis!" / Pavel Lukáš) and Aerokraťas 2007 - 1. prize ("Havran" / Pavel Lukáš). BulvarART is document partner of projects "MAKANNA", "eSACHERe" and "Festival Brikcius". For more details visit websites http://www.BulvarART.cz & http://www.KovarovoUdoli.cz . Earl Grey tea is a tea blend with a distinctive flavour and aroma derived from the addition of oil extracted from the rind of the bergamot orange, a fragrant citrus fruit. 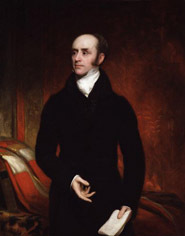 The Earl Grey blend is named after the 2nd Earl Charles Grey (1764 - 1845), British Prime Minister in the 1830s and author of the Reform Bill of 1832, who reputedly received a gift, probably a diplomatic perquisite, of tea flavoured with bergamot oil. - Lady Grey; the two most common kinds (Lavender Lady Grey and Citrus Lady Grey) combine Earl Grey tea with lavender and Seville oranges, respectively. - London Fog is a combination of Earl Grey, steamed milk and vanilla syrup. - French Earl Grey, a blend with added rose petals is known as. - Russian Earl Grey often contains ingredients such as citrus peels, vodka, and lemon grass in addition to the usual black tea and bergamot. 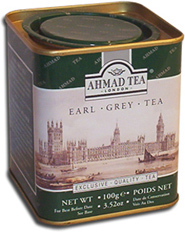 - Earl Grey Green, combining green tea leaves rather than the traditional black tea leaves with bergamot flavoring. - Rooibos Earl Grey is a variation using this South African herbal tea as a substitute for the conventional form made with black tea. 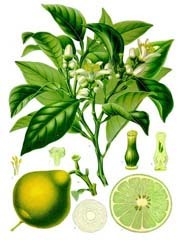 This variation may have originated from Malaysia. For more information about Earl Grey visit http://www.Brikcius.com , http://www.AhmadTea.com and http://En.Wikipedia.org/Wiki/Earl_Grey_tea .